The patented XGRIP P228/P229/M11 offered by FDI is a factory OEM accessory for SIGSAUER that enhances the versatility, look, and feel of the gun. The patented XGRIP P228,P229,M11 adapts the high capacity SIG P226 magazine for use in the P228,P229,M11 pistols, incorporating the larger magazine into the compact pistol’s grip, increasing the gun’s capacity to 15 or 17 rounds. Law enforcement and military personnel can carry the P228,P229,M11 with a standard magazine when concealment is important, then insert the high capacity P226 magazine with XGRIP when firepower and capacity become critical. The XGRIP slides over the P226 magazine and snaps into place over the floorplate. No tools are required. 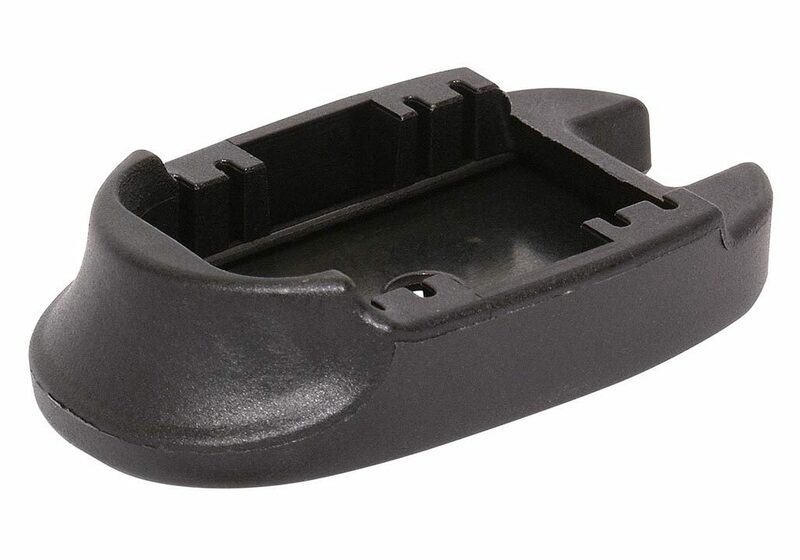 Once installed, the XGRIP provides a protective cushion around the floorplate. 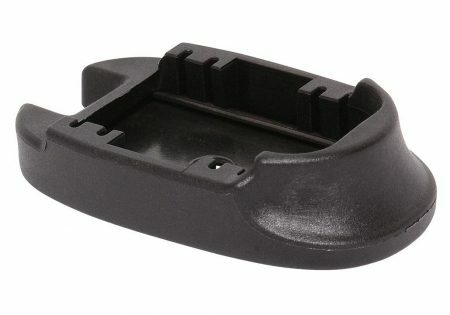 Compatible with SIGSAUER factory original German manufactured P226 magazines with 43mm floorplates. 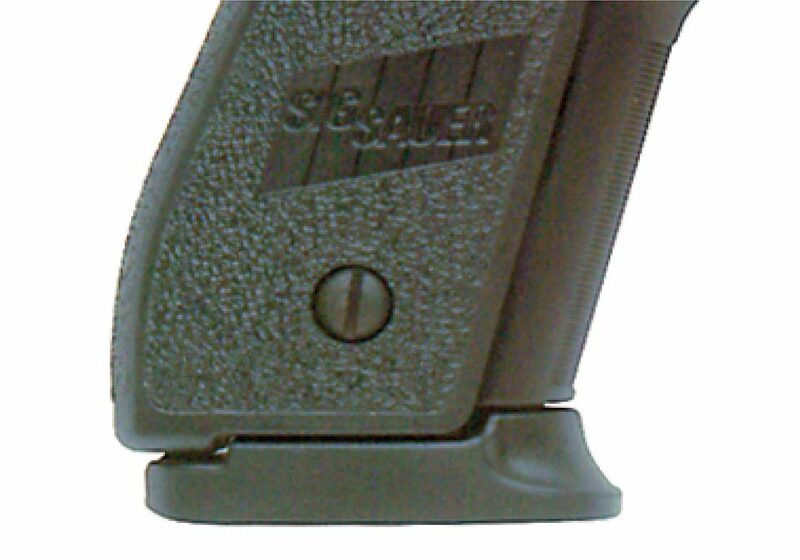 If you have the newly redesigned magazine or Mec-Gar magazine with the longer protruding metal floorplate, you can grind it down from the 45mm length to the 43mm length of the original German design and the XGRIP will protect and cover this modification. Our unique XGRIP will eliminate the sharp edge of the metal floorplate holder and enhances the finger rest posture.